From the look on his/her's face, she/he just goosed him! Or the cross dresser is thinking "Finally! Another way to check out how I look in drag!" 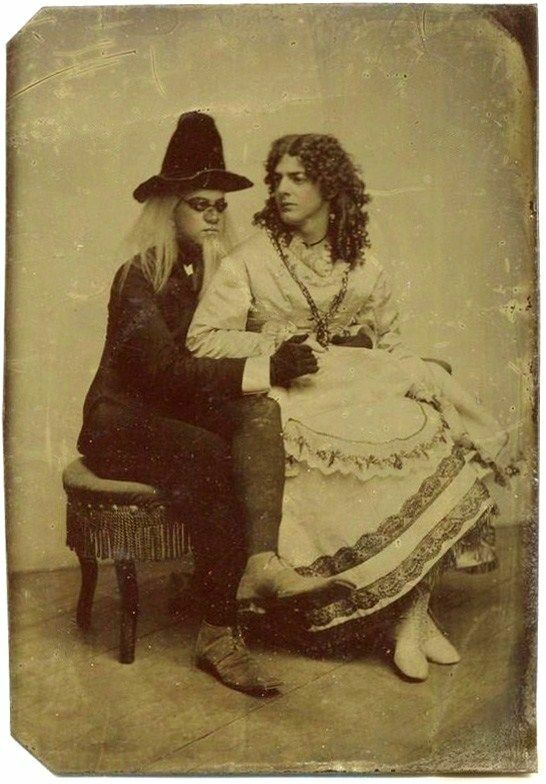 "Cross-dressing Couple in theatrical Costumes - Tintype Portrait taken in the second Half of the 19th Century"